Jay ‘The Sport’ Jackson dreams of being the undisputed heavyweight champion of the world. But it’s 1905 and, in the racially segregated world of boxing, his chances are as good as knocked out. When a boxing promoter hatches a plan for the ‘Fight of the Century’, The Sport might land a place in the ring with the reigning white heavyweight champion, but at what cost? It’s not just a retired champ he’s facing, it’s ‘The Great White Hope’. In daring to realise his dream, is Jay responsible for putting African American lives in the danger zone? 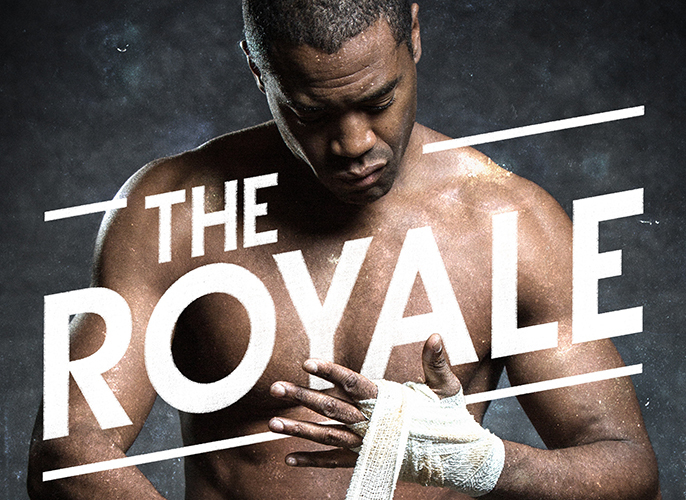 Told in six rounds and set in a boxing ring, The Royale is inspired by the often overlooked story of Jack Johnson, a boxer who – at the height of the Jim Crow era – became the most famous and the most notorious black man on Earth. “Ain’t about bein’ no Heavyweight Champion of the White World. Marco Ramirez is currently a writer on staff for FX’s most successful running television series, Sons of Anarchy, and has also written on Da Vinci’s Demons and Netflix’s hit show, Orange is the New Black. This UK premiere is directed by Bush Theatre Artistic Director Madani Younis and stars Nicholas Pinnock (Fortitude, Sky Atlantic) as Jay ‘The Sport’ Jackson, alongside Frances Ashman and Clint Dyer (both stars of Perseverance Drive, Bush Theatre), Gershwyn Eustache Jnr (Home, Royal National Theatre) and Ewan Stewart (Jumpy, Royal Court). £15 TICKET OFFER Valid on full price, adult tickets for all evening performances from 19 – 28 March - quote 'AF15' when booking. Limited to two tickets per person. Terms and conditions apply. Offer is subject to availability. BOOK NOW ONLINE or call the box office on 020 8743 5050.